Today’s theme was definitely movies! It was all about the movies of London! 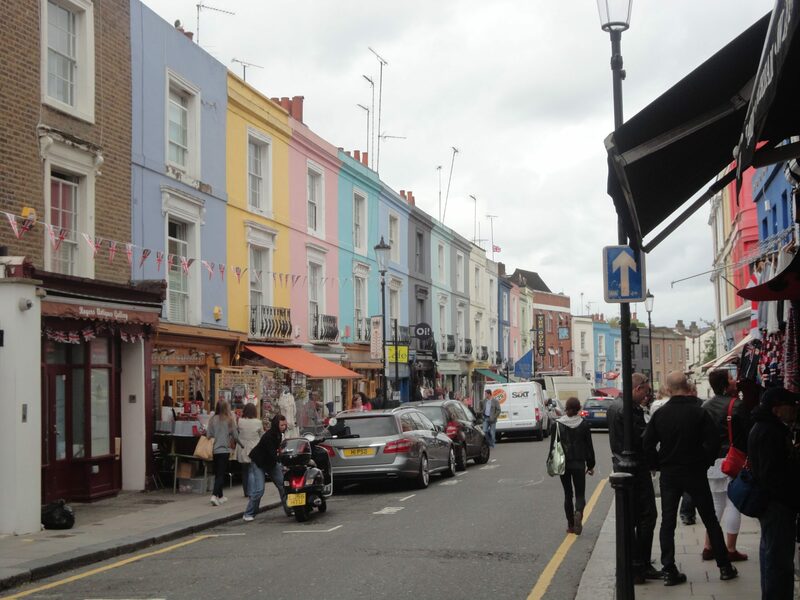 To start the day off, I took the tube to Notting Hill and strolled through the Portobello Rd. Market. I had a pretty early start (can you believe it was before 10?) and was visiting on a weekday so the market wasn’t as busy as it’s famous Saturday afternoons, but I got a good feel for it. Notting Hill is such a cute community. The main streets are filled with vintage shops, bakeries, fresh fruit stalls and antique stores. All the homes are colourful. It’s kind of got a Haight-Ashbury, SF feel to it – except cuter because it’s English! 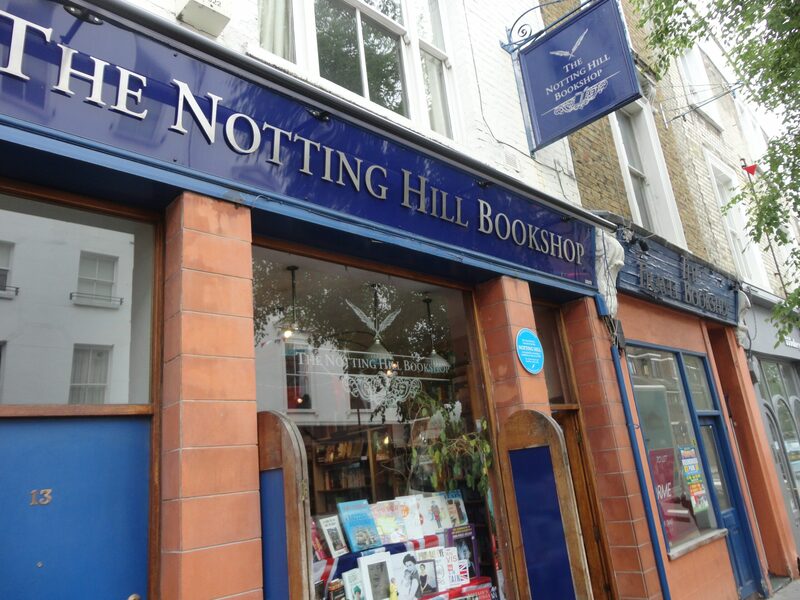 And, of course, no trip to Notting Hill is complete without a stop at the Travel Bookstore from the movie! After much searching, I finally found it and stepped in the very place Hugh Grant was starstruck by Julia Roberts! I tried to find the blue door but I read that the owners had painted over it so I didn’t have much hope. If you don’t know what I’m talking about, go watch Notting Hill. Now. 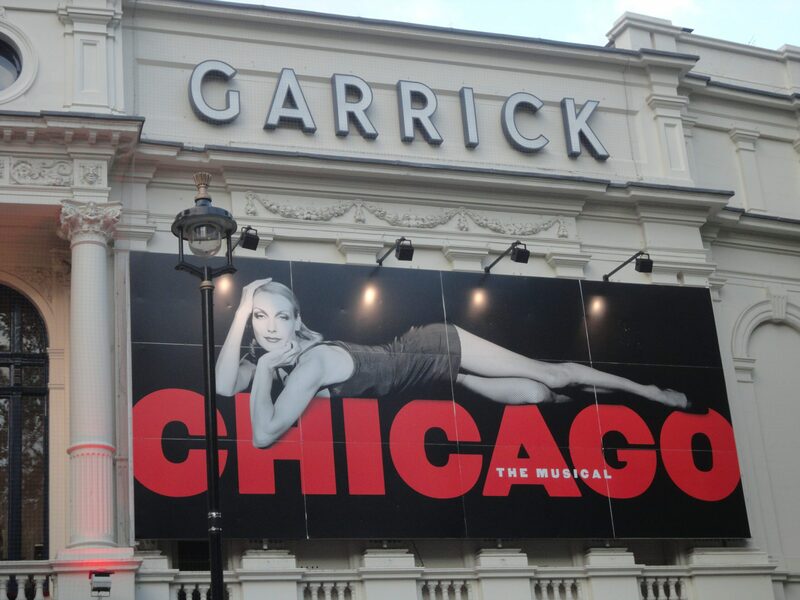 After Notting Hill, I started my long trek to Watford Junction where I rode a double-decker bus to…. 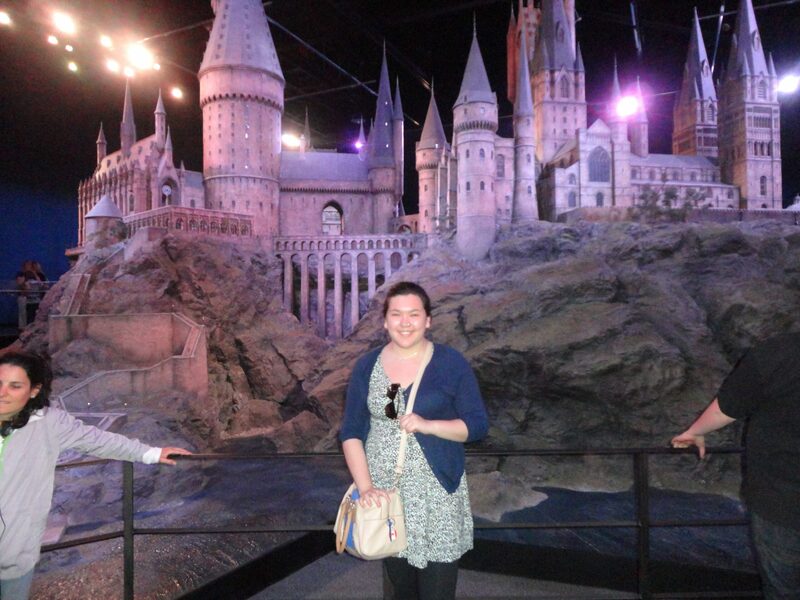 The Warner Brothers London Studio Tour: The Making of Harry Potter! Walking into the main entrance was one of the most magical moments. The room is full of fans running around and the walls are lined with huge portraits. I was pretty much beaming from that point in. And the tour did not disappoint! I could die happy after having seen all of that! It starts off with an intro video from Dan, Emma and Rupert. 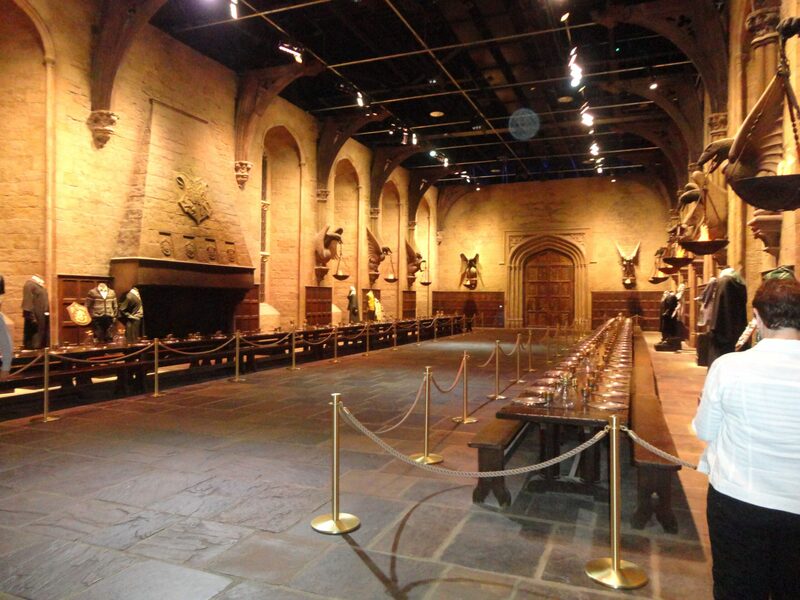 At the end of the video, they open the doors to the Great Hall and walk in. 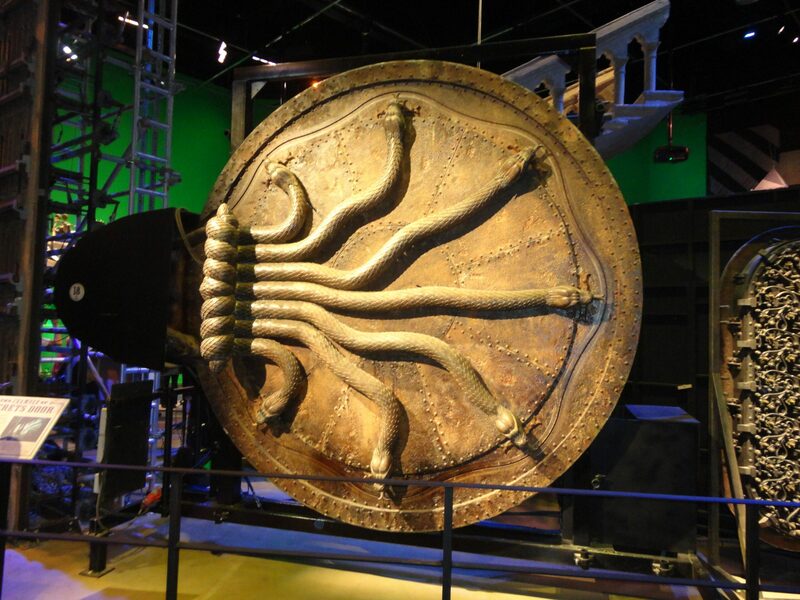 And then the screen lifts up and there, right in front of me in real life, were the actual doors to the Great Hall! It was literally breathtaking! The entire audience was amazed and I had goosebumps! I got to walk through the doors of the Great Hall and walk down the path where Harry got sorted into Gryffindor, Prof. Quirrel screamed about a troll in the dungeon and Molly Weasley killed Bellatrix! I basically nerd-ed out from that point on, but so did everyone else! After spending a good hour in that room, I ventured outside and bought BUTTERBEER! And it was delicious! I also took my photo in front of a certain despicable muggle house, and saw the knight bus, the Potter’s home, the Hogwarts Bridge, the flying car and the chess pieces! And magically enough – it was gorgeous and sunny outside! 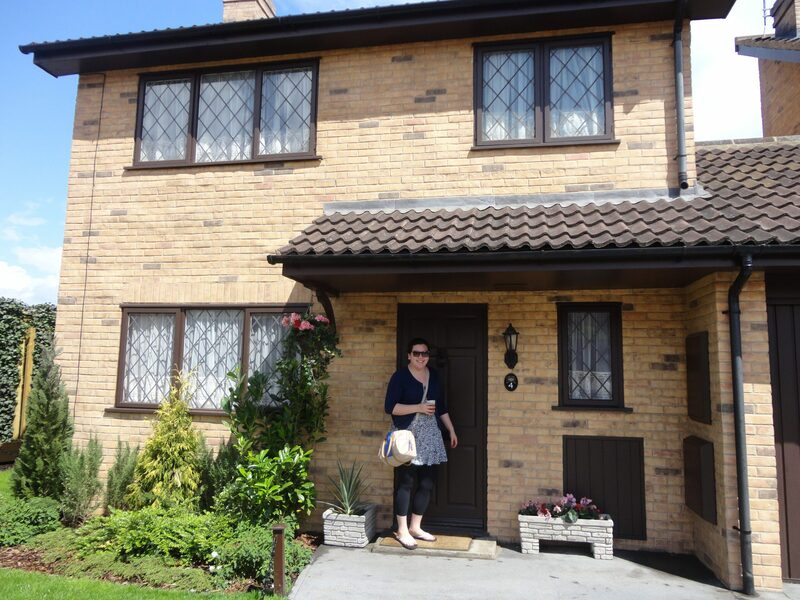 Me (and my butterbeer) standing outside the Dursley’s house, 4 Privet Drive! 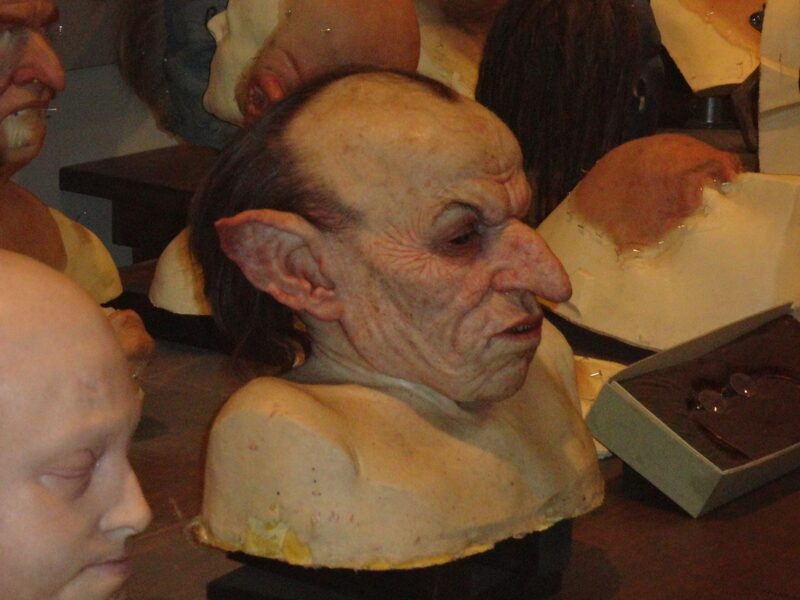 It’s Griphook’s (the goblin) head! Too cool! Lastly, I got to see the amazing Hogwarts castle model. It’s a huge piece of art that sits in the middle of the room. It’s actually breathtaking and I didn’t want to leave. Sadly, the tour was over. I was very tempted to buy out the whole giftshop but my tight budget and inability to carry a lot home in my backpack stopped me. Me in front of Hogwarts! 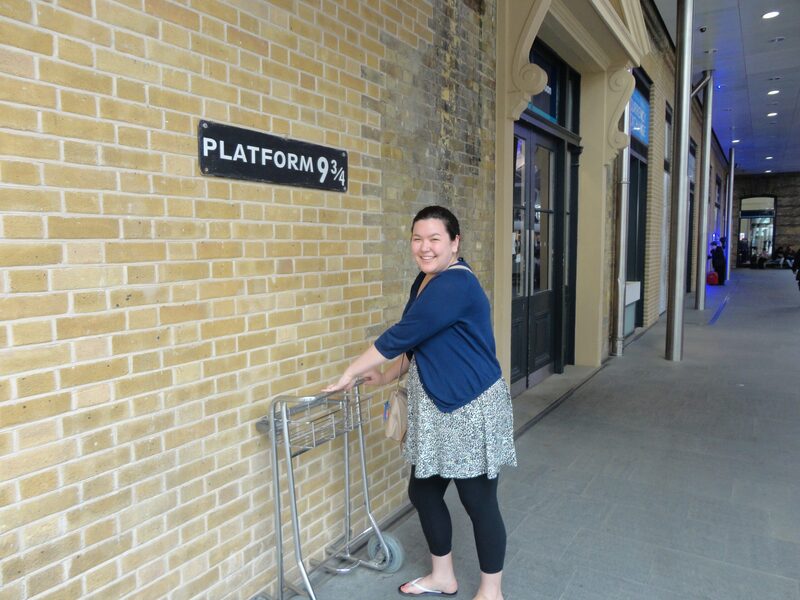 Still on my Harry Potter kick I took the train to King’s Cross Station and got my picture at Platfrom 9 and 3/4! It’s a bit of a let down but I appreciated the photo opp. Just off to catch the Hogwarts Express! 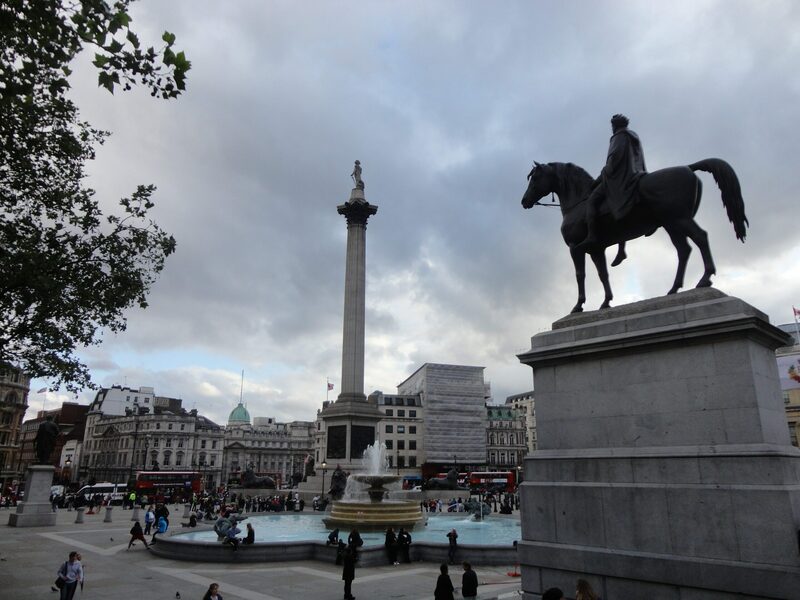 Next: Trafalgar Square! I visited the National Portrait Museum. It wasn’t terribly exciting but it was free and they had cool things going on like live music and a drawing class. I walked around the square, watched street performers and listened to a youth choir. I also found the M&M Store! I know they have one in Vegas but I couldn’t believe how insane the place was! There were 4 floors! Of course, I had to buy some cool coloured M&Ms! For dinner I got bad Chinese food from a street vendor (no worries, I secretly love bad Chinese food). Sorry for the super long post! My nerd-gasm over Harry Potter kind of took on a life of it’s own! All in all, my second day in London was busy but awesome! I can’t wait for tomorrow; with any luck I will have a very blurry, zoomed in photo of the Queen! HAARRRRYYYY! “I’m not going home… not really” – what you say to everything now after having been there. Go see Wicked! And Wizard of Oz! See ALL the musicals! Hot smash boyfriend can sing? Clearly I didn’t watch enough of that show….. In all the pictures of you (super cute btw) I’m just imagining you asking randos to take them ha ha. Making friends! How does this all take place in the span of one day! You cray cray! Can’t wait to hear more- looking forward to the HP album like my life depends on it. Lol you would definitely appreciate the tour! I’d actually fly back here just to do it again. Next summer? I saw Wicked – post to come! Yeah, he was an okay singer but the chicks playing Velma and Roxy were way better. I’m getting better at asking people now! I know how to pick the right ones! HP album will have to wait till I get a faster internet connection! This is the first time I’ve read all your blogs. As you know (and now everyone reading this) I’m technically challenged, so this is a huge victory for me! I love reading about all your life adventures including the one you’re currently on. I can’t believe how much you fit in in one day! Keep trekking and I look forward to reading your next entry. Congrats on the technical achievement! And you didn’t need to read them all! Thanks though, I appreciate it! Love you much and working on the next entry now! 1) OhMyGod you’re in Europe. I will admit to being disappointed that you weren’t coming to NYC with us, but really. It’s EUROPE. I don’t think I can properly express the green-tinted “I-really-really-wish-I-were-you-right-now” envy that I am currently feeling. You are brilliant. And about to have the most amazing three weeks. Have I mentioned the jealousy? 2) Yay you have a blog! Which I can read, and use to vicariously live my life through yours. Even better, since my cousin is a brilliant writer and gives us such excellent descriptions of what she’s doing that I feel like I can actually be a part of her trip with her. Thank you. Side note: I expect pictures by the GB when you get back, and a complete and unabridged account of the awesomeness that is Europe. 3) HARRY POTTER STUDIO TOUR?!?!?! Oh god, jealousy just skyrocketed. Would’ve been the highlight of my life, right there, lol. 4) I look forward to reading about all of your adventures to come! Keep having fun, exploring, and don’t forget to just enjoy the fact that you get to wake up every morning and bask in European history, beauty and awesomeness. Love you, miss you, wish I could be there right beside you! 1) I’m glad you understand! But I’m still sad about NYC. I wish you were here! It’d be awesome to do Europe with you! How badly are you really needed at that job? Join me in Paris! 2) Thanks! Full albums to come when my internet connection isn’t this slow! 3) I KNOW!!!! You would have melted! I almost did! It was insane! You have to come see it one day! 4) Thanks! Will do! Love and miss you too!